They were very patient after most stuff was loaded, we needed time to pack up some final items and decide if they were going on the moving van or in our car. This really helped. We were very pleased with our recent move with Arnoff. Each member of the crew greeted me with a handshake when they arrived and then got to work, They worked efficiently and professionally. The process from estimate to payment was very smooth. 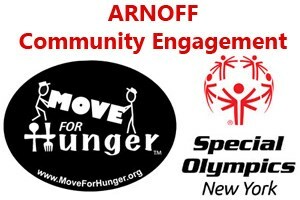 Arnoff was tremendously helpful, meticulous, flexible, and expedient! Everyone was courteous, professional., detail-oriented, and pleasant to work with. Arnoff stands above the rest, they were exceptionally helpful on obtaining a complexed COI. Although, moving locally the movers took proper care in handling our belongings. My top pick for business movers especially for medical companies. Great move with great people! I moved 2 bedrooms worth of stuff across three states and only broke one wine glass (my fault, I packed myself). Arnoff's crew was courteous and helpful and got everything from one place to the other safely and efficiently.